When traveling to Chicago, it’s smart to prepare yourself beforehand. As with any large city, there’s bound to be heavy traffic, crowds, and a bucket list of fun and exciting activities to choose from. 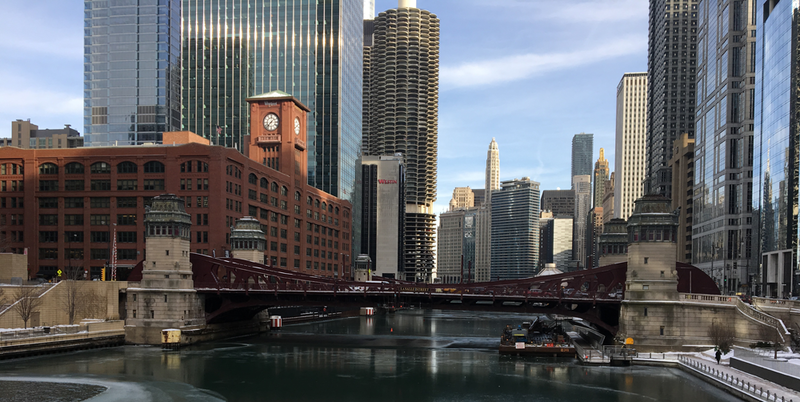 When planning a trip to Chicago, it’s wise to narrow down that bucket list, and book tickets to shows and reservations to trendy restaurants in advance, to save you the hassle of searching for last minute openings. It’s hard enough deciding how to allocate your time—there’s no point in wasting minutes navigating Chicago without a proper guide in place. Here are 6 tips to make your trip to Chicago both smooth and enjoyable. O’Hare is a major airport, so it’s usually pretty hectic, as there are so many flights running at all times. Between delays and security lines, it’s hard to pinpoint the amount of time needed to travel to and from the airport. This uncertainty is especially high during the holidays. It’s best to be safe than sorry, and leave ample time to navigate O’Hare airport. Check in for updates on your flight, day of, to get a better estimate, and wear comfortable shoes. O’Hare is huge, and you’ll be on your feet for a while! Chicago’s weather is pretty fickle; you might experience a 60-degree change in one day! Check your predicted weather beforehand and come prepared. If it’s winter, you can expect temperatures to be cold and windy, so bringing a hat, gloves, warm boots, a winter coat, and a scarf is a must. The Chicago chill will definitely get to you, if you let it. Layering clothing is a great solution for surviving a Chicago winter. As a tourist, you get a free pass for experiencing all the “tourist attractions” that Chicago has to offer. When planning a trip to Chicago, figure out which attractions are most worth your while, so that you can get the most out of your experience. See the Art Institute of Chicago, Navy Pier, and Wrigley Field. Take a photo at the Bean in Millennium Park, and give your credit card some love along Michigan Avenue. If you’re not able to walk or bike to your destination, opt for the train. There’s great publication transportation in Chicago, and traffic can definitely be a nightmare at times (especially during rush hour or over the weekend). Ask a Chicagoan or the concierge for advice regarding the el, as it’s the easiest and fastest way to get around. It’ll give you more time to explore Chicago and really appreciate the city. Instead of opting for a Broadway show (although that’s always a good choice, still), browse the offerings at local theaters for performances in Chicago, such as Goodman Theatre, Steppenwolf Theater Company, Chicago Shakespeare Theater, or Second City. These theaters showcase outstanding Chicago talent that is unique and creative and really adds to a memorable, Chicago experience. Check the theaters’ schedules in advance to secure tickets. Don’t rely solely on Chicago classics, like hot dogs (no ketchup) or deep-dish pizza. Chicago’s food culture is exquisite, with Michelin starred restaurants and crafted cocktails to satisfy both residents and tourists, alike. Ask your concierge for dining tips, and make reservations ahead of time. Of course, if deep-dish is on your list of Chicago’s best restaurants, there’s no reason to deprive yourself. Chicago is a vast and exciting city, for business and pleasure, so take advantage of your time spent there and create a travel schedule packed with high energy, good bites, and great company. If you can’t squeeze in every attraction, don’t worry—you can always plan another trip!